First, let me tell you what I love about the Waylens Secure360 camera for 24-hour vehicle security. It’s easier to install than any Blackvue camera bundle (including Blackvue’s 1 or 2 camera systems). Second, It doesn’t need a special SD card to record security video, unlike the Blackvue camera system that requires a 100MBPS Class 10 Heat Resistant SD card which can be quite expensive compared to the cards you can purchase online or off the shelf. Third, Blackvue needs a power management device (PMP or OBD power connector) to manage the car’s battery power to the camera. If the cameras are drawing too much power, the power management device cuts off power to the Blackvue cameras. In other words, if you have a weak car battery, your cameras may be automatically turn off by the device in the middle of the night to save the car’s battery power, leaving the car vulnerable. 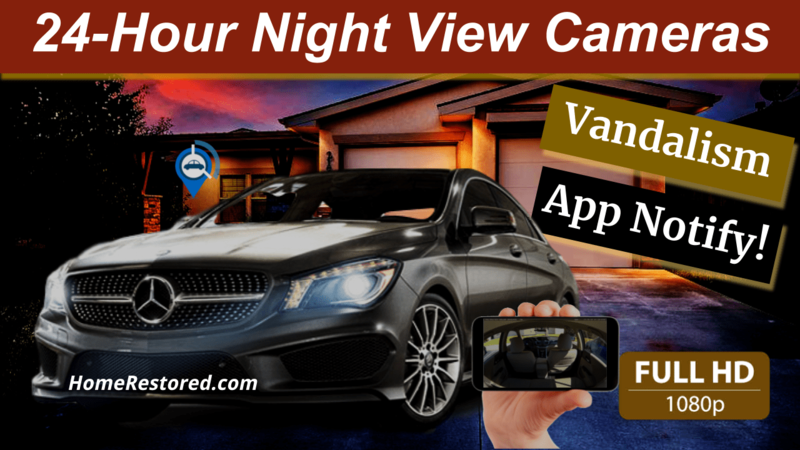 The Waylens Secure360 draws less than half the voltage an amperage as the Blackvue camera system and can record motion and physical disturbance to your vehicle for nearly 15 days where the Blackevue cameras top out at 3 to 4 days max. Now, here’s what I love about the Blackvue camera systems. The video quality on all of their models are the highest quality you’ll ever see in a vehicle camera system. Especially at night. While the Waylens Secure360 looks blurry while in night mode, washing out facial features and the make, model of vehicles sitting or driving next to the car it’s installed in, the Blackvue camera systems, especially the 750s-2ch has superb night vision with accurate pixel counts to make sure you can make out minute detail in dark areas. The Blackvue 950s-2ch is a 4K model (only the front camera is 4k) that blows away the views you’ll get with the Waylens Secure360 during the day or night but I’m partial to the 750s-2ch Blackvue model because it gives me the best night vision out of the 2 models. I also don’t notice the difference between the 4k DR900s and 1080p of the DR750S model unless I am zooming into the recorded video afterward for more detail. The Waylens Secure 360 stretches 1080p throughout the camera’s 360 view which drastically pixelates the view during night time viewing and zooming during the daytime. Forget trying to view a license plate close to your vehicle at night. It’s not going to happen. The Secure360 can barely make out a face, even when the person is sitting in the car facing the camera at night! The Blackvue does recommend using a heat-resistant SD card with fast transfer speed but there’s a perfectly good reason for this. The Blackvue cameras are transferring up to 5 times more video data than the Waylens Secure360. Another thing to keep in mind is Park Mode recording. I find that both Blackvue camera systems do a way better job of capturing people near my vehicle than the Waylens camera. The Blackvue camera system is always recording 6-second loops of video. When it detects motion near the vehicle, it includes an extra 3 to 5 seconds before any incident as well as 3 to 5 seconds after to make sure you get the whole video synopsis of what may have occurred near your vehicle. It also has a very sensitive gravity sensor that monitors any bumps or acts of vandalism. Both the G sensor video recording and motion recordings can be adjusted for individual needs. Third, Both the Blackvue DR750s and DR900s models allow you to connect to any WiFi hotspot so you can receive notifications if your vehicle is vandalized. You will be able to view live video or playback videos from the cameras anywhere using the included mobile phone app. The Waylens Secure360 has a WiFi model you can buy but you have to choose their connection plan. Here at HomeRestored.com, we give our customers a link to receive a free mini- hotspot modem they can keep powered and hide anywhere in their vehicle’s glove compartment, armrest, etc. They can also choose the hotspot’s free monthly service with unlimited notifications. Finally, There are 12 other features that can be activated on the Blackvue camera system depending on your needs. This is why Blackvue is the number one choice for luxury cars ranging from Tesla to Maybach. If you are interested in installing the Blackvue cameras yourself, we’re the only vendor that includes the OBD power connector with a built-in battery discharge preventer for free with any model. I really wanted to like the Waylens Secure360 camera. It has an ingenious 360 design and during optimal times during the day, it shows a pretty good picture of a person that happens to be on or near your vehicle but I definitely had a problem with several features and missed opportunities to make this camera the hottest safety add-on to just about any vehicle. Future models may include a 4K camera or improved usability but in its present form, it pales in comparison to any of the Blackvue vehicle camera systems.